Nearly all ponds need management to help keep the habitat, water quality and clarity in a healthy balance. Far too often though, remote ponds without access to electricity are treated with chemicals which can damage the delicate pond ecosystem. 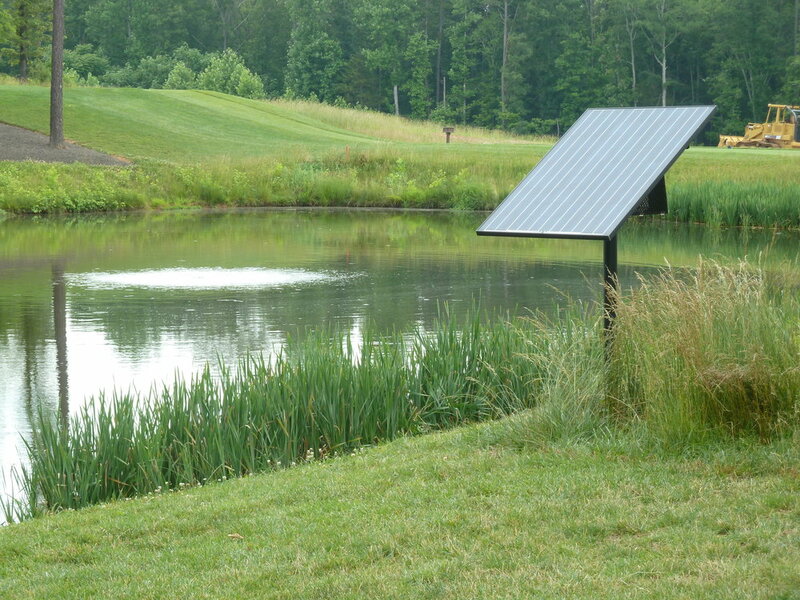 The patented PondHawk® is a solar powered subsurface aeration system that works without the need for grid electricity. Because PondHawk is not connected to the electric grid and needs no batteries, its operating and maintenance costs are minimal. The PondHawk is designed to operate year-round, even under cloudy and freezing conditions. The innovative tamper-resistant design encloses and protects the components without leaving exposed wires or tubes that can be damaged. PondHawk is quiet and doesn’t require a lot of space, making it the most environmentally-friendly solution on the market. 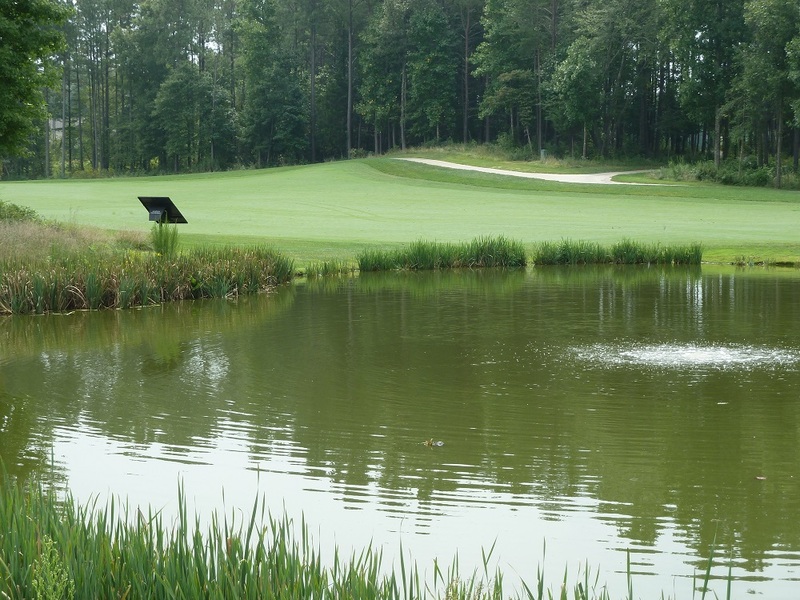 Subsurface aeration addresses many of the underlying causes of problem ponds. Poor water quality can be the result of a lack of circulation, hot/still weather, phytoplankton decay, anaerobic waste decomposition or pond stratification. The process of diffused subsurface aeration provides a solution by creating circulation in the pond and dissolved oxygen into the water. Air bubbles released at the bottom of the pond with a diffused subsurface aerator add the much-needed circulation and oxygen into the water, providing the natural balance that allows organics to decompose and a healthy ecosystem for pond life. Proper aeration also reduces or eliminates the need for repeated chemical treatments and instead addresses the underlying causes of problem ponds. Great for the pond, great for you! The unique, patented (U.S. Pat. No. 9,290,398) design of the PondHawk was created to fulfill the long-term needs of the pond manager. The construction is durable and reliable, working year-round to aerate the water even under partly-cloudy or freezing conditions. 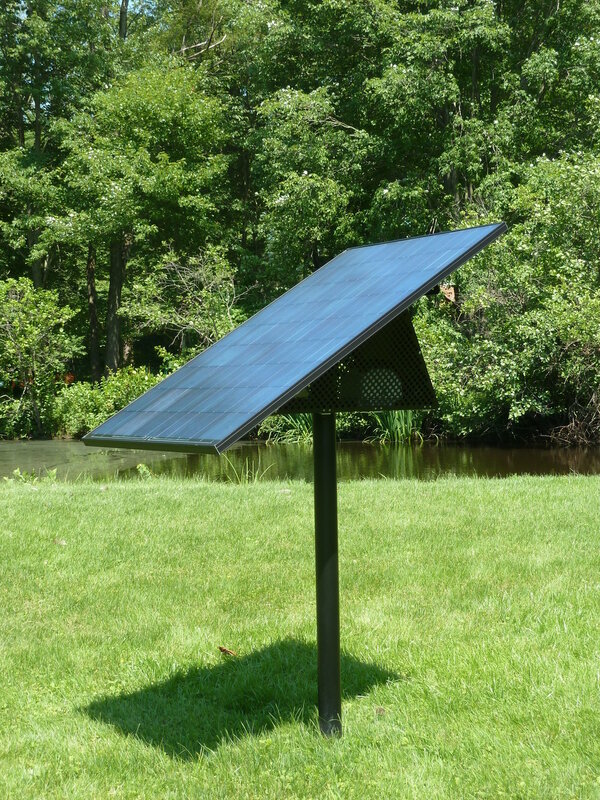 Because it’s a stand-alone, self-contained system with no connection to the power grid, PondHawk can be installed nearly anywhere, allowing units to be combined to fit any large pond or lagoon. By minimizing algae and pond scum, subsurface aeration defers dredging by maintaining the capacity, thus increasing the lifespan of the pond.